The Sound journey will include many instruments including Gongs, Shamanic Drums , Rattles, Singing Bowls, Koshi Chimes, Wind Wand, Ocean Drum, Rain Sticks etc: Odette works intuitively and the accompanying instruments used on the day may vary. 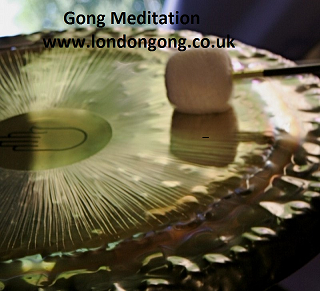 London Gong – Odette Kurland – A Gong Master, Laughter Yoga Leader, Reiki Master and Meditation Facilitator. She has trained with various Gong teachers including Don Conreaux, Abby delSol, Tom Soltran and Sheila Whittaker. Odette has also completed Shamanic advanced pathways training at Caer Corhrain. Her soundbaths often have a shamanic influence with the inclusion of various shamanic instruments including Shamanic Drums and Rattles. This entry was posted in and tagged gong bath, gong bath in archway, Gong Baths in London, Gong Healing, Gong Meditation, gong meditation london, Meditation in London, shamanic sound journey, Sound Bath, sound bath in archway, Sound Baths in Camden, sound baths in north london, sound healing, sound healing london, sound journey london on 29th April 2017 by Odette.